Since temperature has dropped to comfy -16°c(?) I took a little spin up river today. A damp warm beginning of winter. Followed by a few super cold weeks and no snow dumping has made the ice perfect for riding. You can literally ride any where you like. Go in one direction and just, hey! I wanna go there. Just turn the bars and go… Pretty awesome conditions. =) On the pic to the left you can see my trails. They start on the shore covered in mist, left of the trees in the background. I just went strait over the ice. 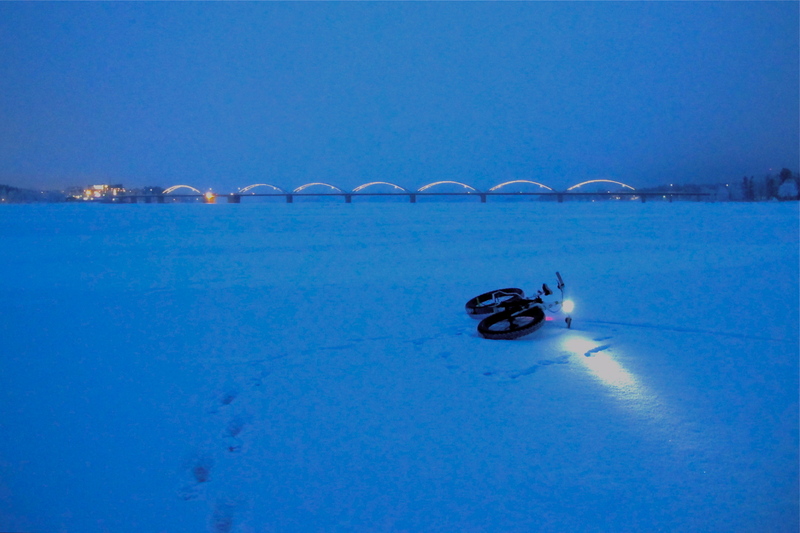 Heading to the sand shore where i shot the end of my Fat Bike Fun video. 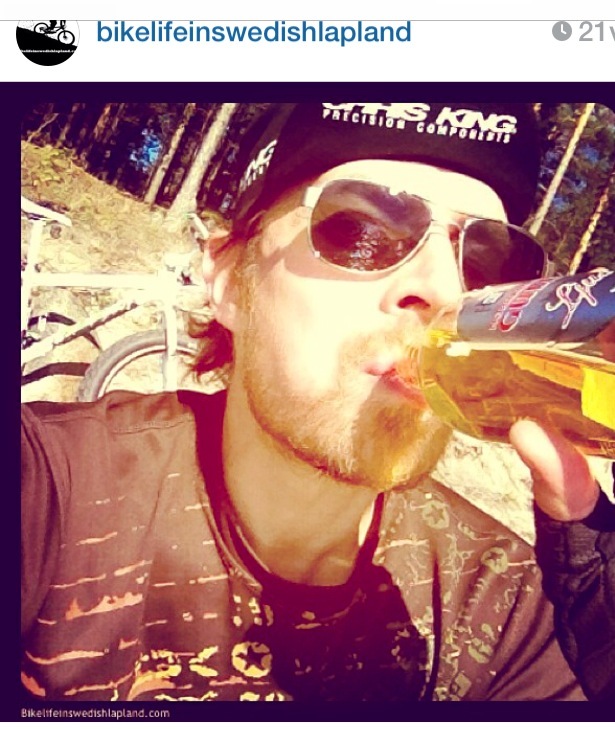 Here i am actually sitting on the same rock as when i´m having the beer at the end of Fat Bike Fun. Only this time it´s a bit colder and i got there across the bay. Same place 21 week ago. 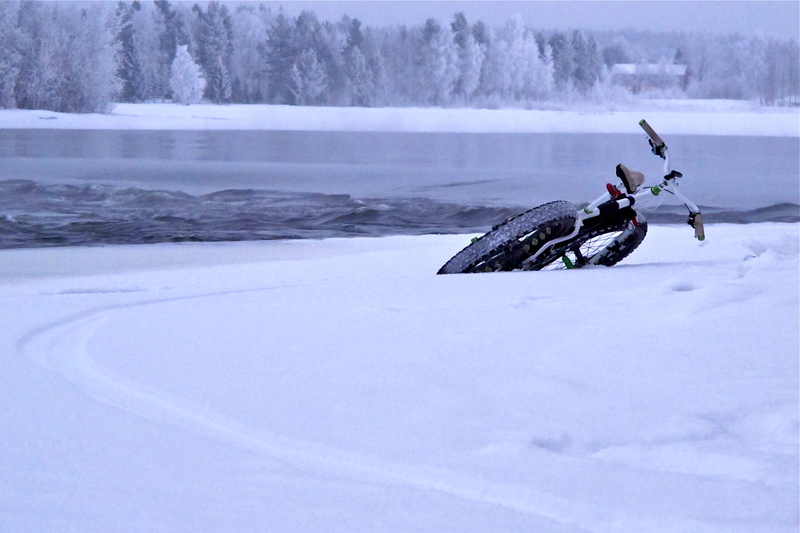 The frozen shores of Luleå river is a blast to ride. I only got a few hours but i´ll keep on exploring the shores up river in weeks to come. 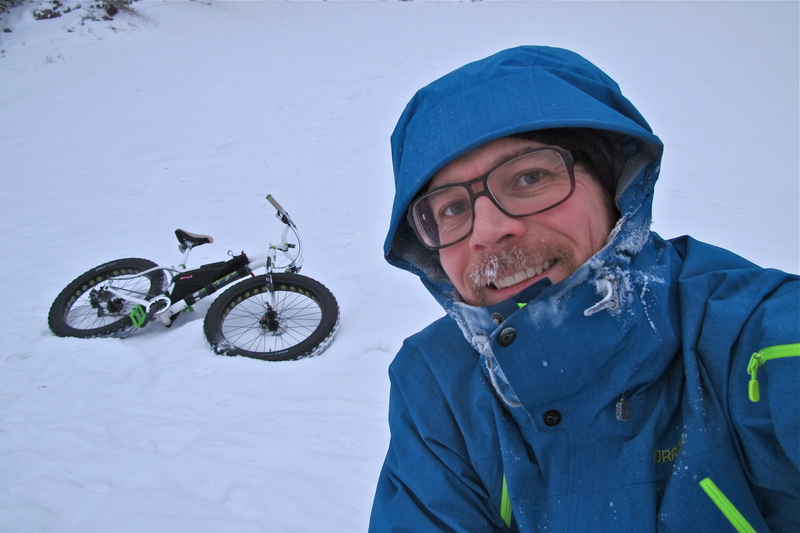 This is my first winter with the Mukluk and it´s only just begun. I stopped and turned around home by the narrow stream of Gäddvik. Here the water is still running even tough we had between -24° to -30° degrees Celsius for a couple of days. It get dark pretty quick this early. So it was time to head home. This is the bridge across the river just before it hits the bay of Bohtnia. I grew up just next to it by the shores. Just were the Mukluk lays i learned to sail as a kid. I´ve been sailing, ice skating, flying model planes, skiing and riding snowmobiles here. 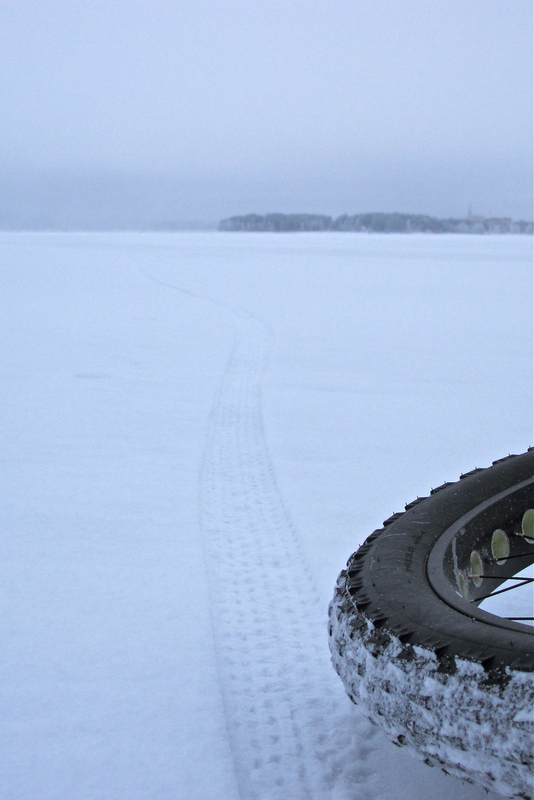 But this is the first time by fat bike. The mukluk sure opens new perspectives. I just wrote a post from the weekend when I was riding through some weeds on the edge of a lake. 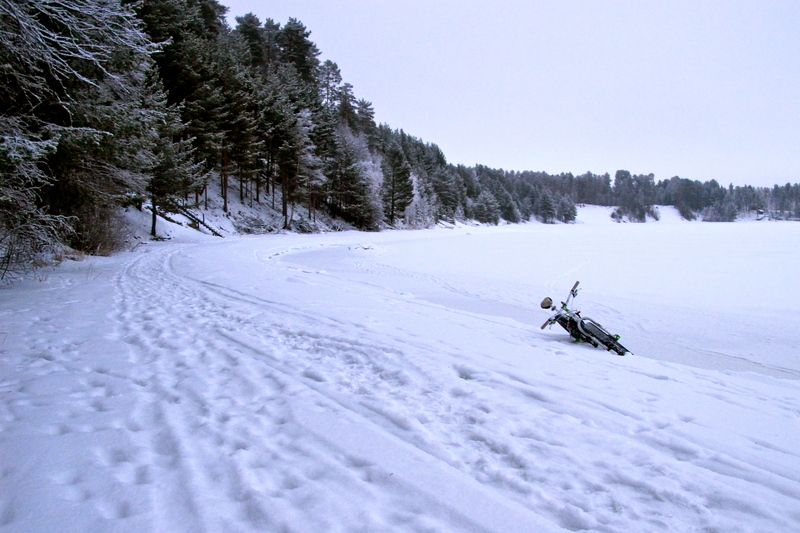 The lake itself had a bit too much squishy snow to ride easily.